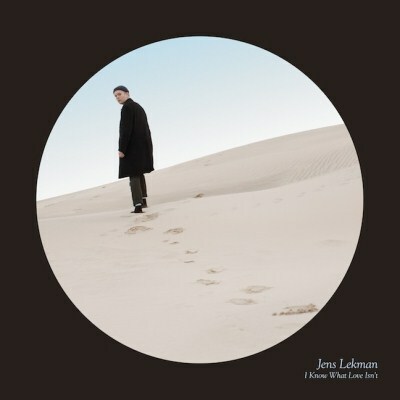 I Know What Love Isn't is Lekman at his finest, transmitting real emotion and humor in songs that are impossible to stop humming for days. I Know What Love Isn’t is more than a great pop album – it’s the most singularly rewarding statement from one of the more uniquely gifted songwriting voices of the past decade. It's the kind of album, though simple and economic, that will expose something previously unheard after every listen. I Know What Love Isn’t, therefore, sounds like the culmination of his career, a record marking his arrival at a sound we knew he would get to eventually. I Know What Love Isn’t is a classy break-up record rather than just a classic one – reaffirming Jens Lekman as an inimitable talent, taking a great trope of pop music and making his most focussed album to date. Despite the unfortunate romantic circumstances laid out on most of the songs, they resonate with optimism in a way only a songwriter as idiosyncratic as Lekman could have churned out. I Know What Love Isn't is Lekman gracefully coming to terms with the breakup, and his lyrical and musical variations on this fixation keep the album compelling. It is his songwriting talent, his storytelling ability, and above all his remarkable emotional honesty that make I Know What Love Isn’t the finest achievement of his career. 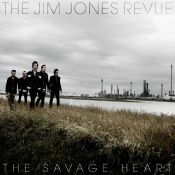 The album in a nutshell: a broken heart carried with poise, good humor and endless charm. As the title makes pretty clear, this is a break up record, weeping with Magnetic Fieldsy candid cynicism about love. I Know What Love Isn't is, by some stretch, the hardest Jens Lekman record to love-- or at least feel instantly infatuated with. While his previous records came off like a collage of big-hearted art films, this one is pure rom-com. Sure, it’s a tougher listen than usual, but it’s still laden with lashings of classic Lekman pop hooks and a vocal that’s sweeter than a Swedish cinnamon bun. He still packs dense short stories into each track, but without the humor the drama sometimes falls flat. Nothing quite matches the second track, Erica America, for subtlety, its delicately anguished lyric set to a lush, Richard Carpenter-style melody. At the end of the album, no stone on the topic of love and disillusionment feels unturned. Such is the strange comfort of blanket statements, but Lekman's fans may still feel the pea-like irritant of stories lanky and untold. More bitter than usual, his melodies grew up and long for a bigger bite of life, even if this bite would deprive them from their cuteness and make them harden. Purchasing I Know What Love Isn't from Amazon helps support Album of the Year. Or consider a donation?